When you hear “Greenland,” what immediately comes to mind? For me, it used to be a remote, ice-covered place that seemed slightly mysterious and even a little intimidating. Before starting to plan a trip to Greenland of my own, I assumed that it was the sort of country that was only really enjoyed by the most intrepid of travelers. But, as I’ve learned recently, Greenland isn’t “just” for travelers who love hiking off-grid and roughing it in the wilderness. 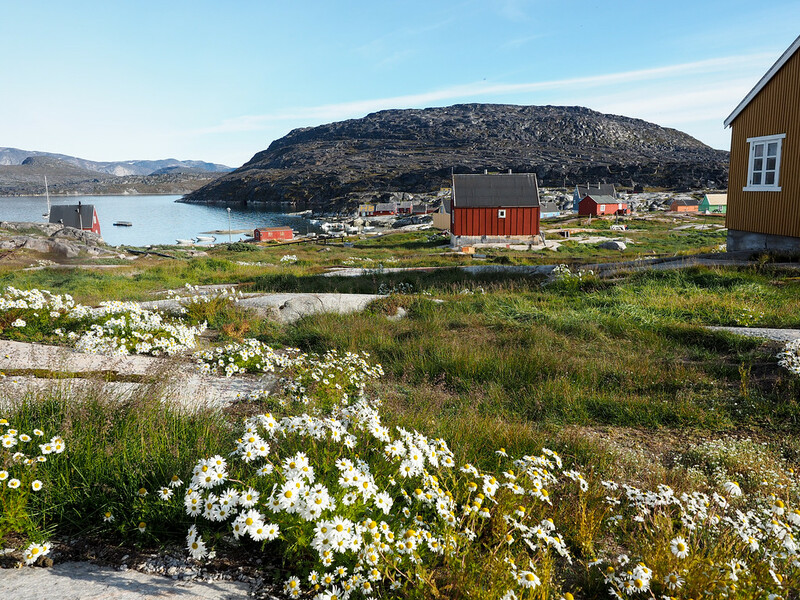 On the contrary: most of Greenland’s towns are well equipped to handle tourists, and there’s a lot to do and see for many different types of travelers. 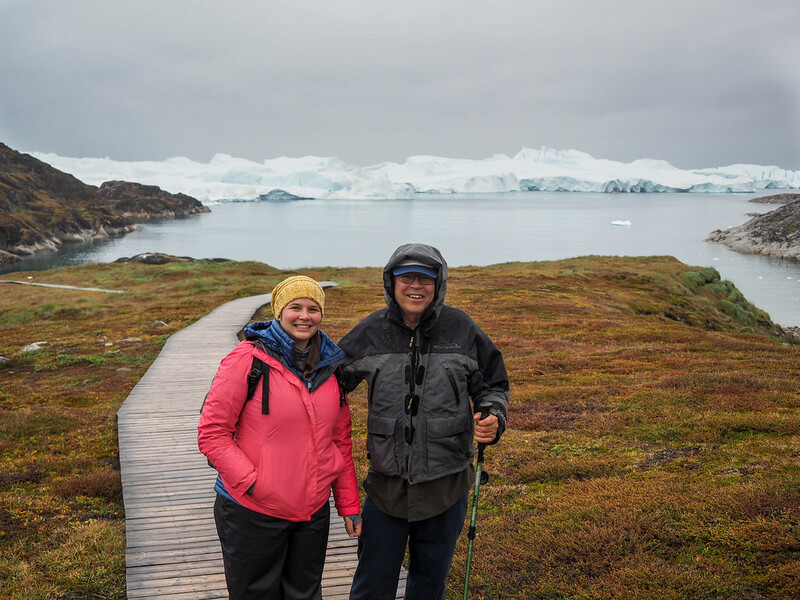 In August, my dad and I traveled to Ilulissat, the third-largest town in Greenland with a population of just under 5,000. 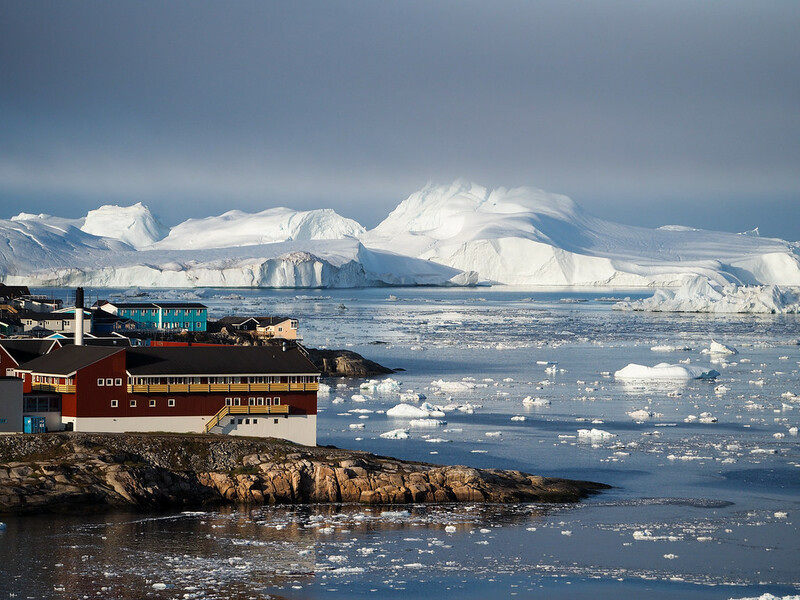 The town sits on Disko Bay, near the UNESCO-recognized Ilulissat Icefjord on the western side of Greenland, above the Arctic Circle. I hadn’t really heard of Ilulissat before, but it was the easiest Arctic city to get a flight to from Iceland, and was equipped with several hotels and quite a few tour companies. In short, it was the perfect place to be introduced to traveling in Greenland. While I can’t say I’ve really “seen” Greenland after just 5 days in one very small part of it, I still managed to learn a lot about the country while I was there. 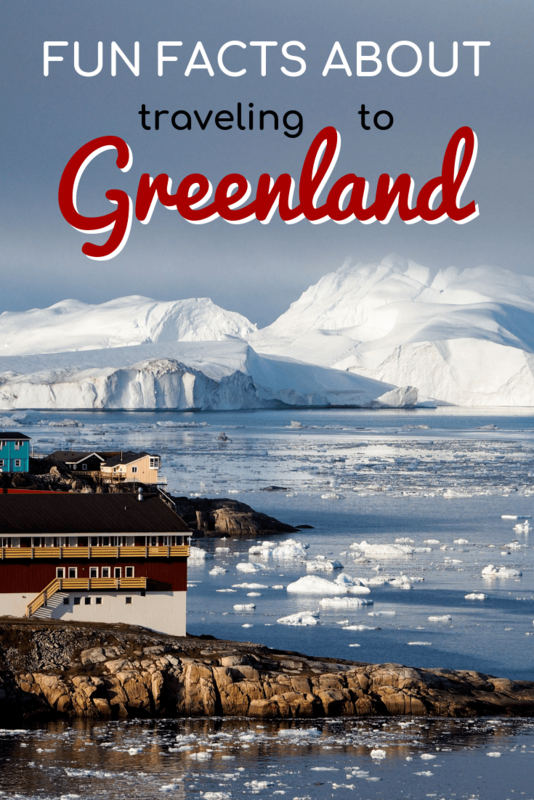 Here are some fun facts and observations about Greenland, some of which might surprise you just as much as they surprised me! The name “Greenland” is one people are always curious about. 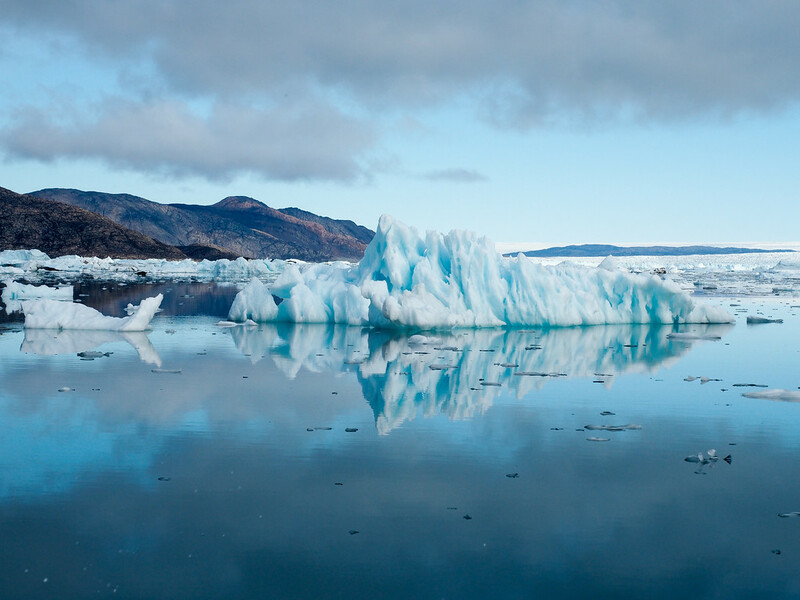 Why, if it’s all covered in ice, is it called “Greenland?” The answer is that it was given its current name by Erik the Red, an Icelandic convict who was exiled to Greenland and hoped that if it had a “nice” name, more settlers might come there. Interestingly enough, science has proven that the climate in Greenland was much warmer thousands of years ago, and that much of the country (especially in the south) actually WOULD have been quite green. In the summer, there IS green here. Looking at Greenland on a world map gives you an idea of just how big it is. It’s the world’s largest island that isn’t a continent, covering 836,330 square miles. But you really can’t fully comprehend the size of Greenland until you’re flying across the vast country and traveling around it by boat, where it can take hours to traverse a very short distance. Greenland is IMMENSE, and you really don’t grasp its true size until you’re there, feeling very small next to its mountains and glaciers. The mighty Eqi Glacier – and we were still about a mile away! Speaking of Greenland’s size… nearly 80% of the country is covered by a giant ice cap, with ice reaching up to more than 9000 feet in some places. The ice-free area (mostly around Greenland’s south, east, and west coasts) is only about the size of Sweden. 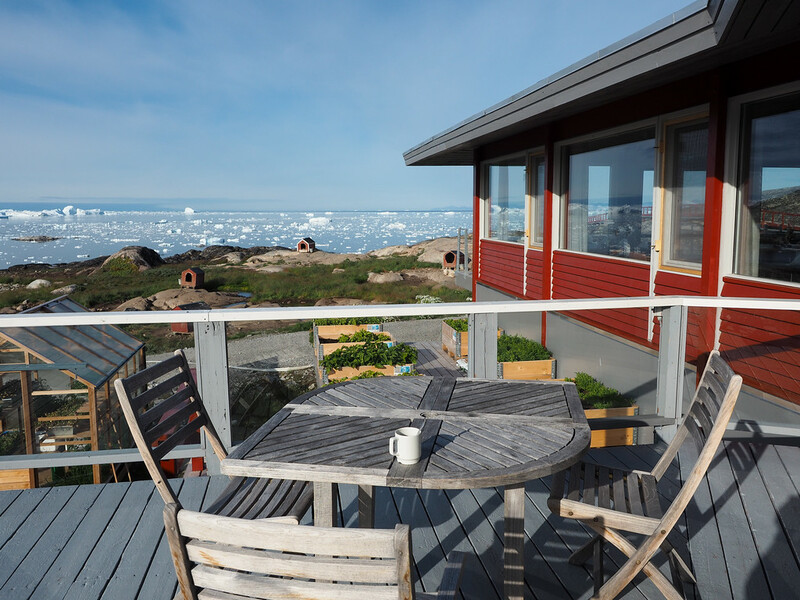 You get a feel for just how icy this place is by staying in a coastal town like Ilulissat. Ilulissat sits at the mouth of the Ilulissat Icefjord, which stretches from the Greenland ice sheet roughly 25 miles to Disko Bay. 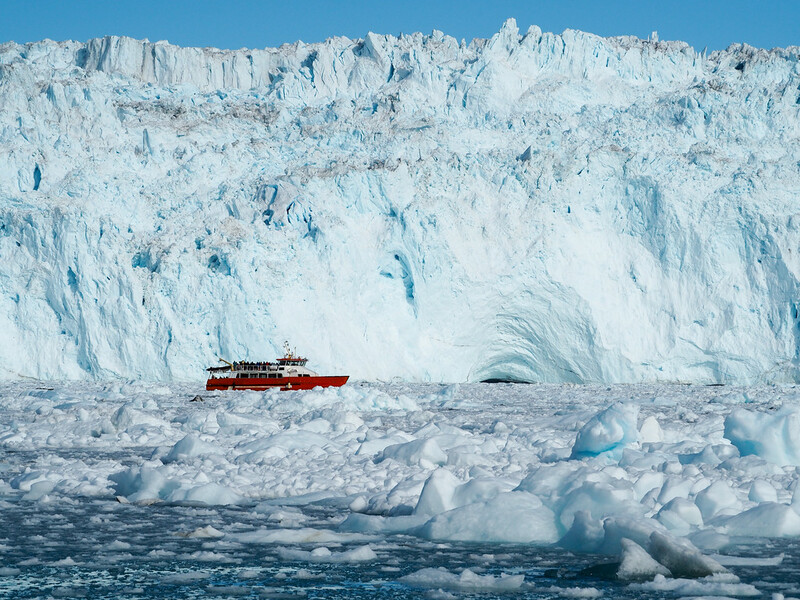 The Sermeq Kujalleq glacier at the top of the fjord is an extremely active glacier, producing more ice than any other glacier outside of Antarctica. No wonder this spot was named a UNESCO World Heritage Site in 2004. And there are BIG icebergs here! Even though the Vikings spread all across Europe, and even though some of them DID eventually settle in southern Greenland, it was actually the Inuit people that first settled the land. Between 4000 and 5000 years ago, people from Inuit cultures in Canada made their way over to Greenland, settling in what would eventually be called the Thule Region in the far northwest of the country. 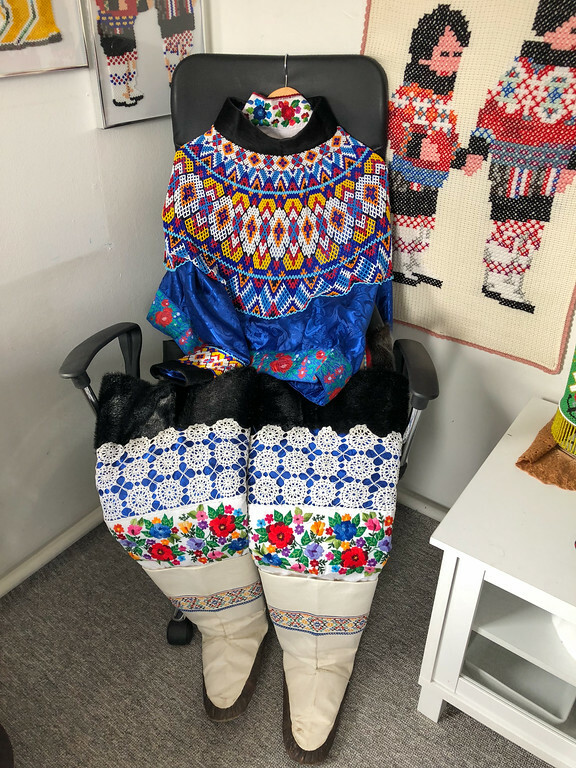 Various groups of Inuits made their way over to Greenland over the centuries, and most of the current population (more than 80%) are Inuit, or mixed Danish-Inuit. Greenland was a Danish colony all the way up until 1953. After that, it became less of a colony and eventually worked its way towards “home rule” in 1979, and is now fully self-governed. Greenland still has a very complicated relationship with Denmark, though. I’m no political science expert, but the story of Greenland’s native people is much the same as the story of the native people in my own country. The Danish came in, took over, and enforced a lot of change on the Inuit communities, just like the US did to our Native American groups. The Danes forced many to move out of traditional huts and settlements and into more “normal” apartment blocks in established towns. They shipped children off to Denmark to educate them as “real Danes.” They enforced a Christian religion. And in many ways the Danish have been the ones to pioneer the tourism industry in Greenland, whether the locals like it or not. There’s talk of Greenland becoming fully independent, but it’s not going to be an easy or quick road. Greenland still depends on Denmark for more than half of its annual budget, and still uses the Danish krone as its currency. It’s nowhere near as popular to travel to Greenland as it is to travel to nearby Iceland, but that doesn’t mean that Greenland has no tourism industry. In fact, the larger cities in Greenland are well-equipped to handle tourists, with nice hotels, restaurants, and plenty of tour companies available. 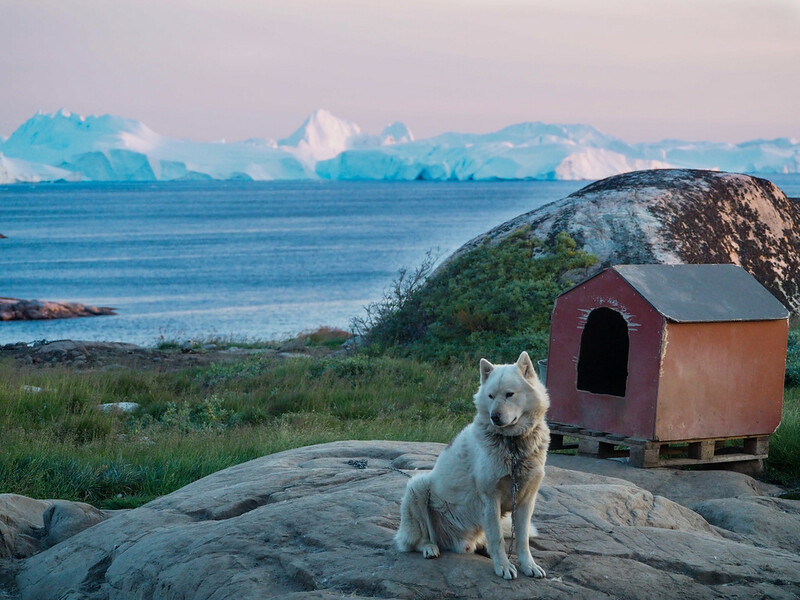 A lot of people assume that going to Greenland means you’re going to have to go off-grid for a while, but that’s only true if you travel to the more remote towns and settlements. 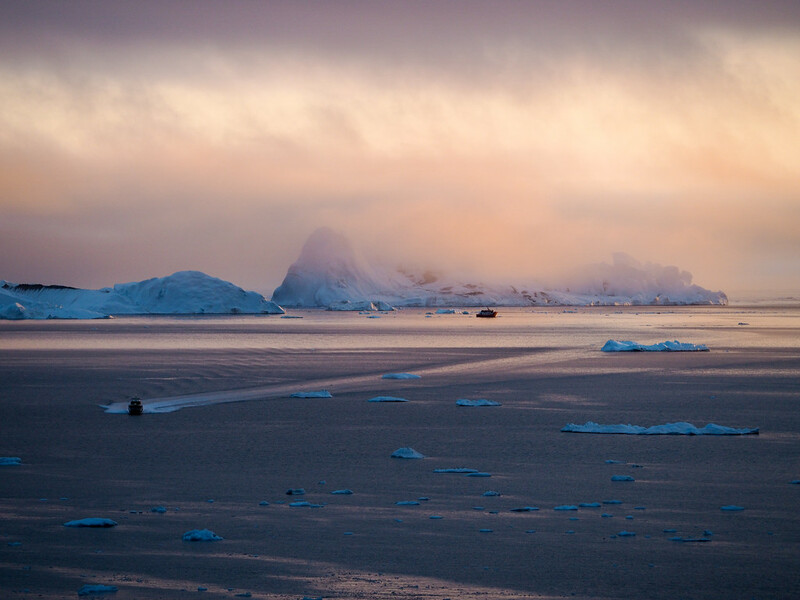 In Ilulissat, for example, wifi and cell signal are easily found – my international T-Mobile plan even worked there! Having said that, though, Greenland is mostly a maritime nation. There are only about 150 kilometers of roads in the entire country, and none of the towns are connected by them. To get around, you have to either go by foot, boat, or plane. Because Greenland is so remote and its towns are rather disconnected from one another, most people assume that it’s a difficult place to travel. This may have been true a few decades ago, but it’s actually pretty easy to travel to the major towns in Greenland today. Regular flights go to places like Nuuk, Kulusuk, Ilulissat, and Kangerlussuaq from Iceland and Denmark, and you can easily book boat trips and day tours to see all the main sights. 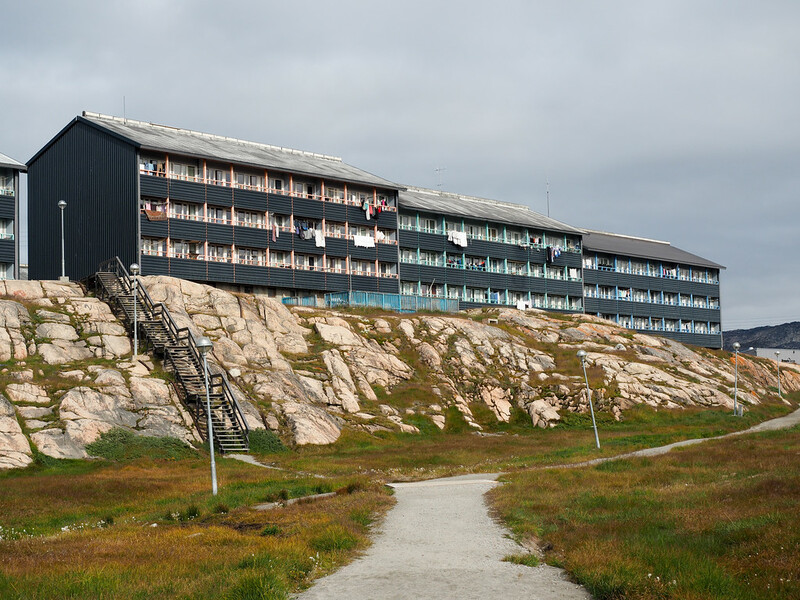 My dad and I spent 4 nights in Ilulissat at the only 4-star hotel in the Arctic, gorging on fresh seafood and being very well taken care of by a local tour company called Arctic Adventure. 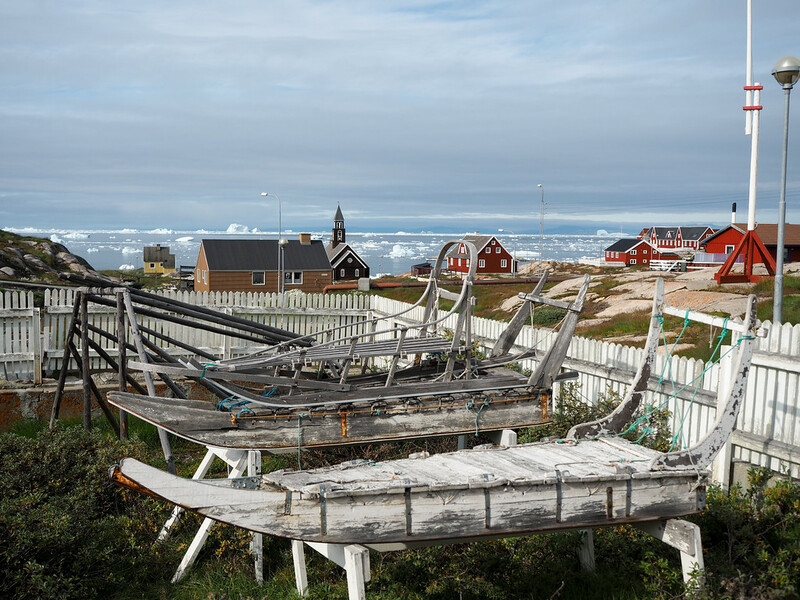 We took boat trips out to see icebergs and glaciers, went on a flightseeing tour, took a short hike, and explored the town of Ilulissat on foot. You do NOT have to go on an organized tour to Greenland unless you’re wanting to go *really* off-the-beaten path. You can absolutely book flights, hotels, and some tours on your own and still have a really good time. This is a very random fact, but one that I found fascinating and wanted to share. In Greenland, dog sledges are still used for hunting and as a winter form of transport up above the Arctic Circle. 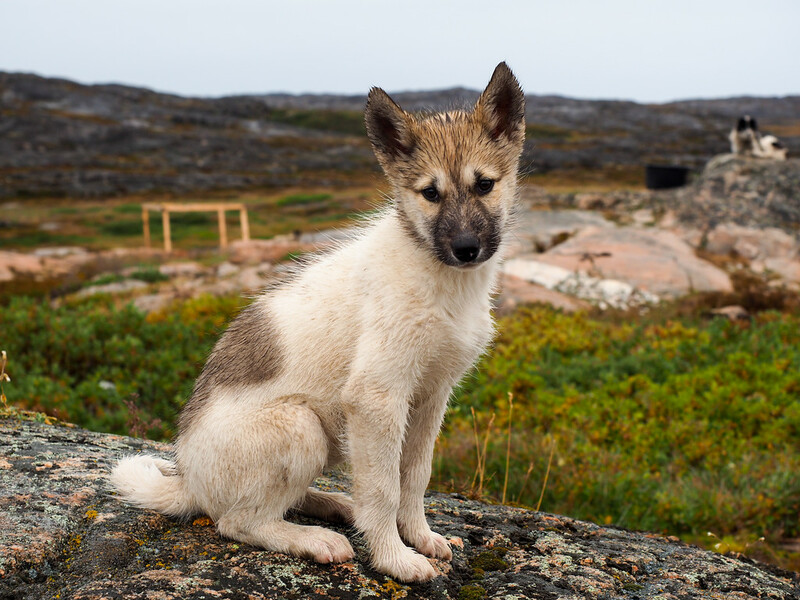 Greenlanders have raised and used Greenlandic dogs as working animals for centuries, and the relationship continues much as it has throughout history. Above the Arctic Circle, no other breeds of dogs are allowed – with the exception of a couple breeds that are used exclusively by police. The locals don’t want to dilute the purebred Greenlandic dog line (which is actually much closer to wolf than most other domestic dog breeds). Because of this, it means no one in the top half of Greenland keeps dogs as pets. Definitely looks more wolf-ish than your average dog! The puppies are SO cute though. This also means that Greenlandic dogs aren’t treated as pets. They are working animals and live outside year-round. The adults are not allowed to roam free because of their unpredictable wolf genes. This can be a tough thing for non-northerners to grasp, just like it’s hard for us to fathom a culture that still relies on things like hunting seals and whales for their livelihood and survival. 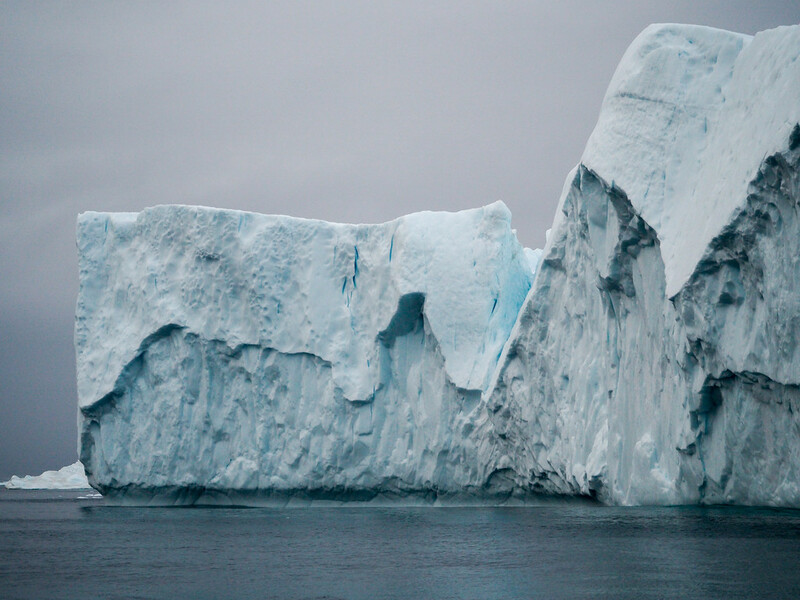 So there you have it: the main things I learned and observed on my first trip to Greenland. In short, Greenland is more fascinating and beautiful than I ever thought it would be. And while it’s still much more “wild” and remote than some of the more popular destinations I’ve traveled to, Greenland is still quite tourist-friendly and easier to travel to than you probably think. 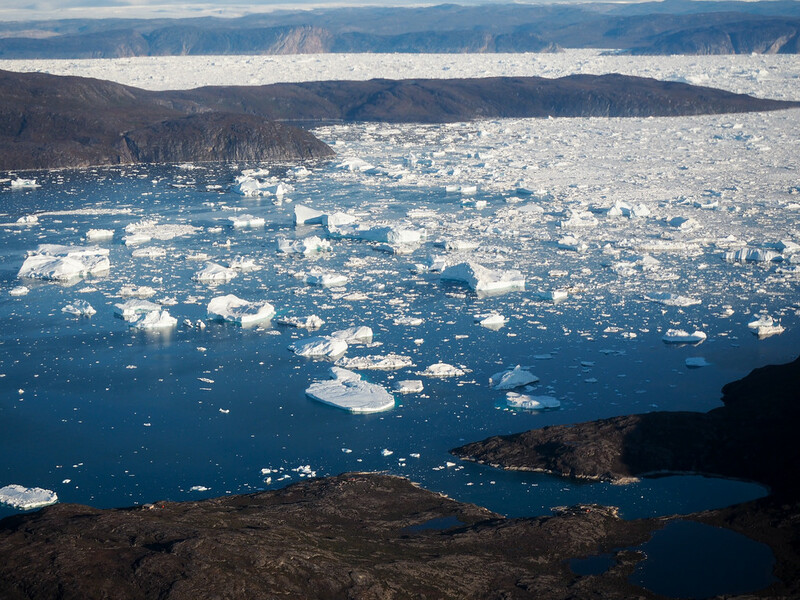 If you’ve ever considered planning a trip to Greenland, now is the time to do it! Who’s ready to travel to Greenland now?